What is a Monogram ? 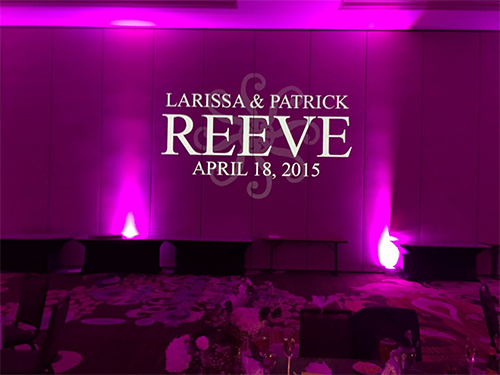 A Monogram are usually Projected on a wall, but can also also be done on the floor or ceiling, You select design Font, picture or style, It can contain your names, and event date or just a graphic. The newest trend is "Motion Monograms " It's exactly what it says. It is actually a projection that moves. 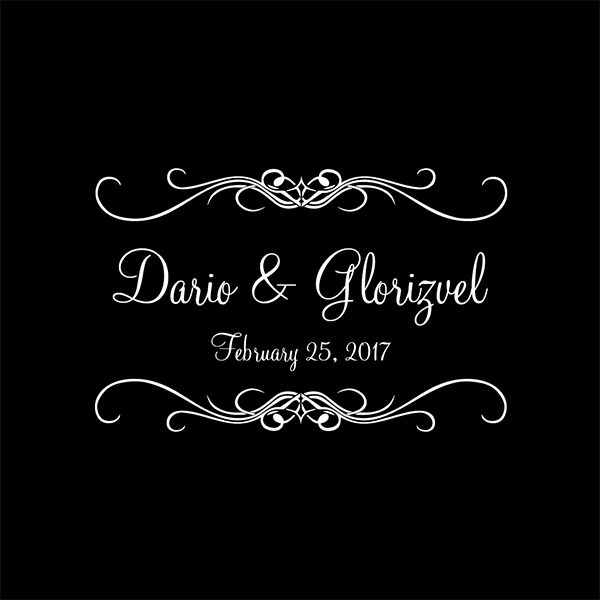 Animated Monogramming is the elegant final touch for a perfect wedding. 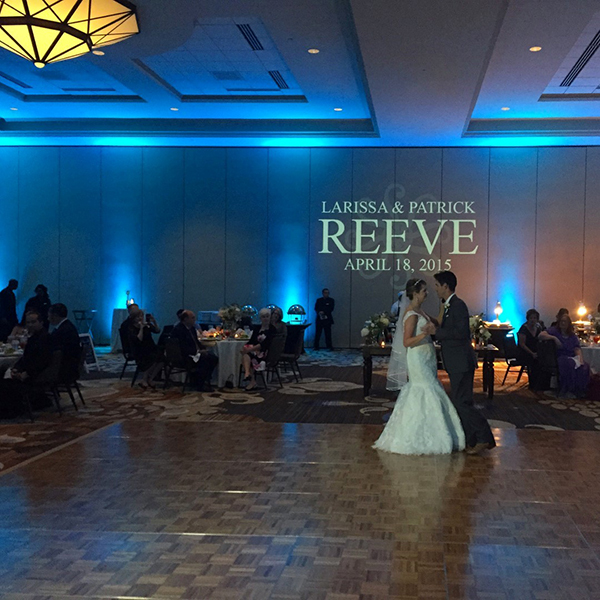 The first thing your guests will notice when they enter the room is your name beautifully inscribed in light on the wall. 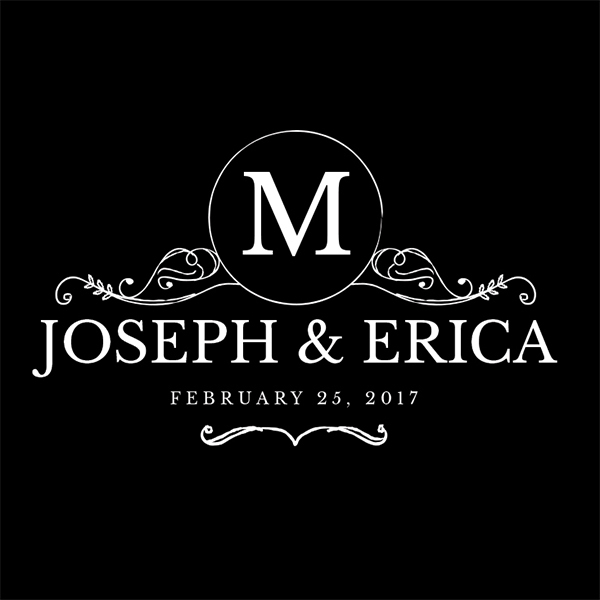 This is the future on Monogramming at weddings. 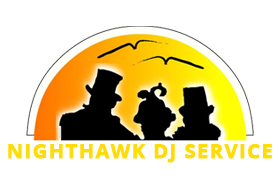 Corporate events and Parties. 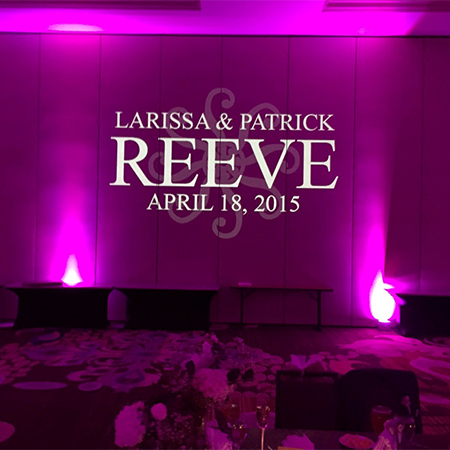 Monogram along with up lighting, Can totally change the look of your room For very low cost. Monogram both Static & Motion offer a classy and elegant look , And provide insurance in that your wedding photos will come out more impactful, Guests love to take photos of the design and are always intrigued by the beautiful design which really creates a since of " Being at the event ". 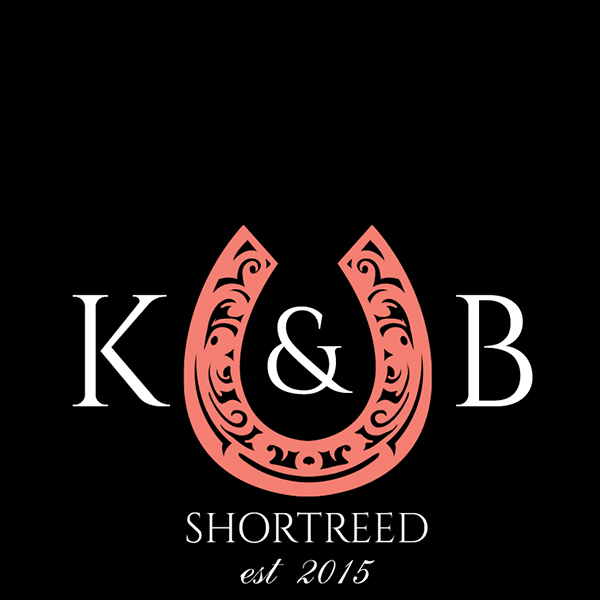 * Our Monograms are Digital will exceed youe expectations - Not your Budget !!! 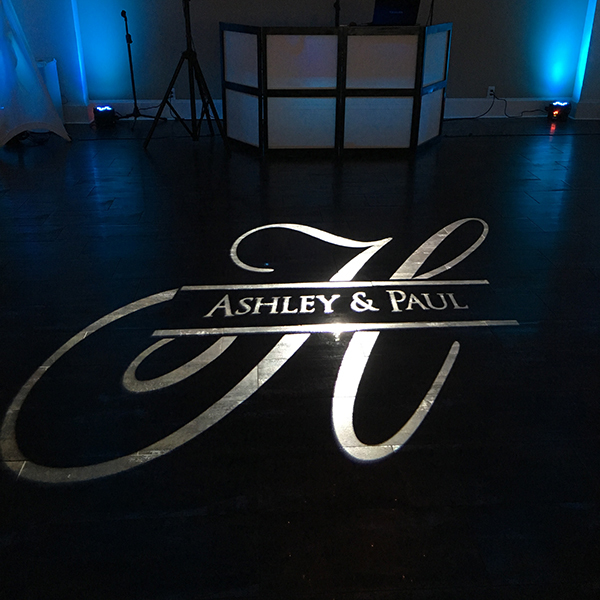 * Add our Monograms to your DJ package is amazingly affordable !! For more info and pricing..